Building and maintenance of muscle mass and ensuring its optimal toning isn’t easy. You just cannot stop working on your muscles, once you have achieved your muscle mass goal. You need to do at least thirty minutes of muscle mass and strength training. You need to give your muscles time to rest at the same time. This will not just ensure your muscle optimum toning and performance but will also give time to your muscles to rest, to recover and grow. This is an easy exercise which should be done every alternate day. You need a dumbbell in your hand. Stand as you keep your feet hip distance apart. Your arms shall hang by your sides. Now, pull in your abdominal muscles as you stand tall. Your knees shall be relaxed. You need to wrap up your right arm. Your fist shall be close to your shoulder. You can twist your palm. This will make it face the front side of your shoulder. You can lower your dumbbell a little down. Repeat with the other arm. Continue doing this, till you complete one set. 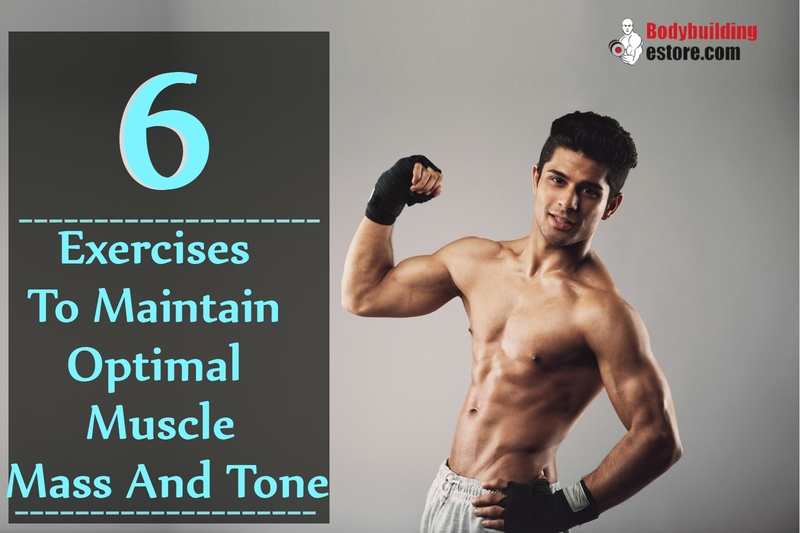 This exercise helps in keeping the muscles toned and flexible. It works on the soleus muscles primarily. 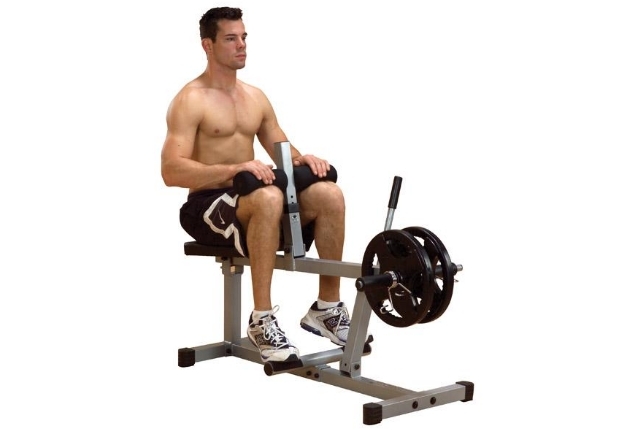 Start the exercise by sitting on a seated calf machine. Keep the pads on your thighs and make a 90-degree angle. You need to slowly put down the weight. Never try to do this fast. Wait for a few seconds so that there is no recoil action of the muscle. You can raise the calf weight with the help of balls of the feet. You will not use the toes. Now, squeeze and this will be one count. 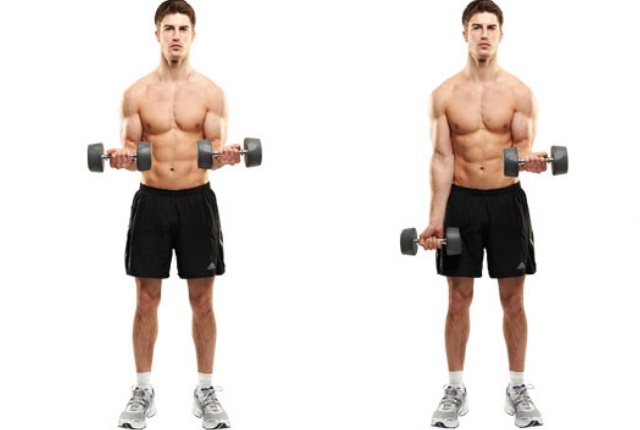 This exercise helps in maintaining the upper and middle shoulder and back muscles. Stand on the left side of a chair. Your feet shall be hip distance apart. You will need a dumbbell in the right hand. A palm will be facing you. You can pull the abdominal muscles in. Bend a bit forward from your hip. Your back shall be a bit arched. Your body shall be parallel to the ground. Your knees will be a bit bent. Now, you need to place your left hand on the seat. This shall help in maintaining balance. You can tilt the chin close to your chest. This shall help in making your neck in line with spine. The right hand shall be in the front of right shin. Move up the right arm by the side of body. Your elbow shall point towards the ceilin. Your hand shall brush against the waist. Lunges are a great exercise to maintain thigh muscle mass. You start the exercise in a standing position. Your feet will be a little apart. Now, move a step forward as you keep your knees bent at an angle of 90 degree. Your knees shall be just over the ankle. Your shoulder shall be above the hips. You can take one more step and repeat. You can continue doing this workout, till you feel tired. For optimal mass building you need to do at least three sets of 10 at least with every leg. Plank is one of the best exercises with amazing benefits. It helps in building muscle strength and tones muscles of thighs, chest, abdominals, buttock, lower back and shoulders. Start the exercise by lying down on the floor. Your hands shall be clasped in front. They should be just under the forehead. Your toes will be tucked in. You need to press upwards to maintain your balance on the toes and your forearms. Now, slowly pull in your abs. Your lower back shall nt sag and your hips will not drop. You need to ensure that your torso is straight and the abs are pulled in for support. You need to hold this position for at least 10 counts. This exercise tones the inner and the outer thighs, the abdominals, glutes and abdominals. Start in a kneeling position. Your knees shall be hip distance apart. Hold the chair. You will slowly tighten your abs and tuck in the pelvis muscles. Move your left foot behind. Move up your knees and toes from the floor. You will be pressing back with your foot. Keep your knees bent. Repeat at least 20 times. You need to keep your knees behind your hips and pelvis tucked in. Now, move out your leg and lift the toes. Do this 20 times at least. Now, rotate your thigh out and press your foot back for at least 20 repetitions. You will lift your leg diagonally and slide 20 repetitions. You can switch your legs and repeat the series.